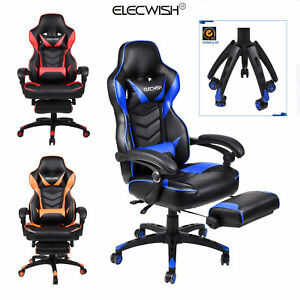 elecwish has no other items for sale. Sales tax may apply when shipping to: CA*(9.5%), IA*, KY*(9.5%), MN*, NJ*(9.5%), WA*. A++++++++++++++++ Seller fixed an issue with product, IMMEDIATELY!!! Product was as described. Shipped in timly manner. Great Job! Chair was great the first day or 2, now arms are wobbly/back does not lock well. Took way too long to receive it even though they are located very close.